Dr. Mrs.Elizabeth Verghese is an Engineer by Profession & hails from Kerala. She is a graduate in Civil Engineering from Trivandrum Engineering College and a Post Graduate in Engineering from Birla Institute of Technology & Science, Pilani and has obtained a Ph.D in Education from Cosmopolitan University & Research Institute, USA. 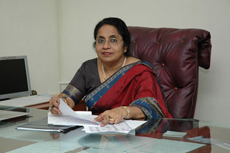 She is presently the Chairperson of the prestigious Hindustan Group of Educational Institutions and the Chancellor of Hindustan Institute of Technology & Science, popularly known as Hindustan University, one of the leading Private Universities in India. Mrs. Verghese is the first woman Engineer in the Highways Department, Government of Tamil Nadu, served for about 35 years in various capacities before retiring as Joint Chief Engineer in the Highways Department. Fully realizing the role of education in the social transformation and progress of the country and towards fulfilling the Founder’s vision “To make every man a Success and no man a failure”, Dr. K.C.G.Verghese Charitable Foundation was established to extend cash awards & scholarships for the meritorious students, financial assistance to the needy, poor and deserving people for their educational and medical expenses. Dr. Anand Jacob Verghese, the elder son of Dr. K.C.G. Verghese, is the Pro-Chancellor of Hindustan Institute of Technology and Science, India, popularly known as Hindustan University. He is also the Director and Chief Executive Officer of Hindustan Group of Institutions, which manages several other higher educational institutions along with the flagship Hindustan University. Anand is a Bachelor in Science in Engineering Management from US International University, London, MBA from Huron University, London and Phd from Dongguk University, Seoul, South Korea. 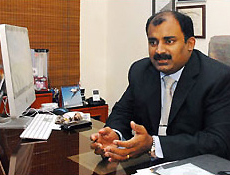 Dr. Anand Jacob Verghese has rich experience in the education and aviation sector for more than a decade-and-a-half. He started his full-time career in the early nineties when he started managing Orient Flight School (OFS). 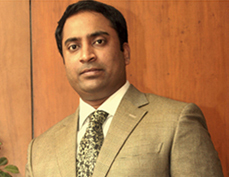 Anand took over the reins of Hindustan Group after the sudden demise of his father in 2006. Along with his mother Dr. Mrs. Elizabeth Verghese, he seamlessly managed the institution and under his Leadership the icing on the cake was the conferment of full autonomy to Hindustan College of Engineering in 2007 with the grant of University status by the Government of India. Ashok Verghese, the younger son of Dr. K.C.G. Verghese, is the Director of the Hindustan Group of Institutions. Hindustan Group has over ten Institutions under its fold offering a wide range of Professional Programs in Engineering, Aviation, Automobile, Management, IT, Arts, Sciences, Pilot Courses & many more. 15000 students from all across the world are being educated in its portals currently & alumni strength of more than 50,000 working across nations. Ashok Verghese is a Mechanical Engineer and holds a Management Degree from Madras University. He has completed his Executive Management Certification from Michigan University, Ann Arbor, USA. He has been with the Hindustan Group for more than 15 Years. Dr. Susan Marthandan is the only daughter of Dr. K.C.G. Verghese and was from a very young age influenced by his ideals and goals. She completed her MBBS from Ambedkar Medical College and went on to be the University topper in her post graduation MS (Ophthalmology). She has presented many papers at national and International conferences and is presently practicing for many years as Consultant. 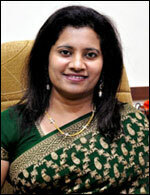 Apart from her busy practice, she is also Director of the Hindustan College of Arts And Science. The Hindustan Community College was also begun by her to cater to the weaker socio economic sections which are in lines with the late Chairman’s Motto "to make every man a success and no man a failure".